I recently read an article highlighting the letters of Francis Schaeffer. The post called attention to Shaeffer’s emphasis on the Christian’s responsibilty to reflect both the love and the holiness of God. It was Schaeffer’s conviction, and I believe he was correct, that these two characteristics could coinside in an individual only by the power of the Holy Ghost. Increasingly I believe that after we are saved we have only one calling, and that is to show forth the existence and the character of God. Since God is love and God is holy, it is our calling to act in such a way as to demonstrate the existence of God–in other words to be and to act in such a way as to show forth His love and His holiness simultaneously. Further, I believe that the failure to show forth either of these is equally a perversion. Of course, in one’s own strength it is only possible to show forth either love or holiness. But to show forth the holiness and love of God simultaneously requires much more. It requires a moment by moment work of the Holy Spirit in a very practical way. In the flesh we can exhibit a pharisitical vengance against sin or we can exhibit a benevolance that dismisses sin. Only by the power of the Holy Spirit do these characteristics come into balance. I recently read that proportionally the surface of the earth is smoother than a billiard ball. Just think, if we shrunk the whole earth down to a size that rested easily in the palm of our hand, we wouldn’t be able to perceive Mount Everest or the ocean floor! Those differences matter much to those who live on this planet, but from God’s point of view, they are hardly recognized. Remember this the next time you are in the valley and you can’t find your way. Remember this when you aren’t sure if you can climb that next mountain. Remember this when you are on top of the mountain unless you find yourself soon in the valley of despair. To us these differences matter much, but from God’s view they are not the obstacles that we perceive. He sees you and He is with you. Remember this when you feel inadequate compared to others. Remember this when your past haunts you. Remember this when the enemy tells you that you have sinned too much to live for God. Remember this when you begin to feel like you are holier than everybody else. To us the difference between the pastor in the pulpit and the sinner in the street matters much, but from the perspective of God’s righteousness, all our righteousness is as filthy rags. He sees His child and He loves you. “Work like you do not need the money. No doubt you have heard this quote or some variation of it at one time or another. It can be heard during speeches at a wedding reception and sermons at church. You will find it written in graduation and birthday cards. Chances are, you have shared these words of advice with someone yourself. But do you know who said them? It wasn’t a poet or some great philosopher who gets credit for being the first to string these three lines together. Was it a preacher or some wise teacher? No! It was none other than Leroy ‘Satchel’ Paige, a professional baseball player, who is credited with this quote. Significance is added these positive words of wisdom when you know a bit about the man who said them. 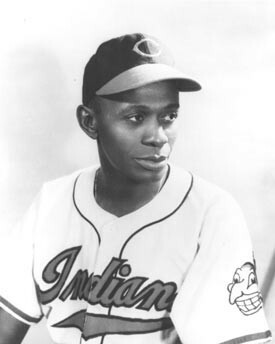 ‘Satchel’ Paige was one of the first African Americans to play in the major leagues after they integrated in 1947. He was one of the greatest pitchers who has ever played the game and today he is the Hall of Fame, but in those days, he was on the front lines of a battle that extended far beyond the baseball diamond. You can imagine the prejudice that he had to face every time he stepped into the locker room to prepare for a game. He endured the chants from the crowds not only when his was the visiting team but also in his home stadium. He was mocked and belittled by those in the media who disapproved of the integration. Yet in spite of all of this, ‘Satchel’ Paige determined that he was going to love like he had never been hurt! He refused to live his life offended. Mark Twain said that if you ever find a dog on the side of the road that has been hurt and abandoned and you take that dog home and feed it and care for it, that dog will never bite you. And therein lies the chief difference between a dog and a man. 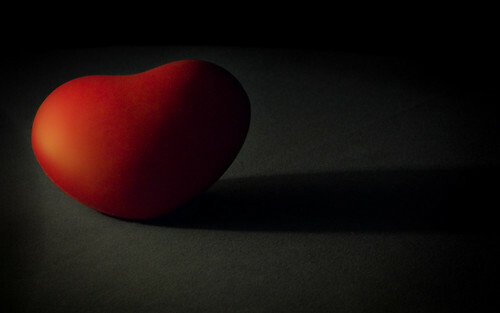 It is the people that you love the most that can bite you the hardest and hurt you the most. Just as sure as you are reading this someone is going to hurt you; someone is going to let you down; someone is going to stab you in the back. You have to choose, are you going to be offended and hold a grudge, or are you going to love like you have never been hurt. If you want to end offense, choose love. We cannot stay here. I know, you just got comfortable and you are really starting to like it, but we really cannot stay. I know, you have progressed so much and you have come so far, but we really cannot stay. We have to move beyond. We have to move beyond being motivated by fear to being motivated by love. I know you have heard it said that there is a heaven to gain and a hell to shun, and it’s true, but there is so much more than that. There is a nail-scarred Savior who loved us more than He hated our sin. Everything we do, and for that matter, everything that we don’t do, should flow out of our love for Him. Do we love Him? We have to move beyond a Christianity that serves me to a Christianity that glorifies God and serves others. Jesus was our example. He taught some suprising things like, “The first will be last and the last will be first,” and “He that is greatest among you will be your servant.” Maybe you already know that but I am just reminding you, I’m reminding myself, because we like to say things like that to our fellow Christian but we still aren’t very good at saying it to ourselves. It sounds pretty good when you say it in your sermon but reality hits when our plans are interrupted with an opportunity to serve. We have to move beyond pardon to purity. I don’t know about you but I get pretty tired of asking God to forgive me for the same things. Repentance is not asking God to give us a pass or turn His head while we sin. I don’t want to be pardoned. I want to be purified. I want to love the things that God loves and hate the things that He hates. I don’t just want God to forgive me for my sin again; I want Him to take the desire to sin out of my heart. I am thankful for forgiveness, but holiness is what I long for. Will you go with me? I must go beyond. I have been reading some poetry by Tennyson here and there the last few months. Here are a couple of my favorite stanzas (taken from The Suppressed Poems of Alfred Lord Tennyson). The vessel and your Church may sink in storms. Christ cried: Woe, woe, to Pharisees and Scribes! Like them, you bicker less for truth than forms. What unheroic pertness! what un-Christian spite! An essence less concentred than a man! Better wild Mahmoud’s war-cry once again! O fools, we want a manlike God and Godlike men! I don’t remember all the details. I was young. 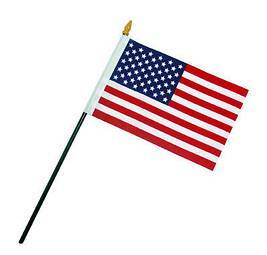 What I do remember is the little American flag and the intense desire to make my father happy. Allow me to fill in the blanks with my best guesses. I had gone with the neighbors to a flea market or something similar. I searched up and down the isles for that perfect something. Not something for myself. I wanted to buy a gift for my father. I didn’t have much money, I’m not sure if I had any. Maybe the neighbor bought my gift for me? No matter, it wasn’t the money that counted. I finally found something that I was certain my dad would love. Looking back I feel a bit silly. I waited with anticipation as the item was paid for and wrapped in a brown paper bag. I held it with care, making certain it wouldn’t be damaged or misplaced before we got home. When we finally arrived back at our home on Raintree Road, I proudly carried my gift inside and presented it to my father. I don’t remember his reaction as he pulled that “Made in China” hand-held American flag out of the bag but it must have been a positive one because I distinctly remember the satisfaction of feeling like I had made his day. It must have impacted me deeply because after all these years, I can’t forget that little flag or the joy of giving a real gift of love. And looking back, I realize that the value of the gift had nothing do with what I gave, but rather with my desire and motive to give it. It was the gift of a child’s love for his father. This is the kind of gift that I long to give to my family and friends this year for Christmas; to my dad and my mom, to Jeff and Aaron (my brothers) and to my closest friends: Phil, Mitch, and Jon. There is no way that I could wrap up the love and appreciation that I have for them. They are my gifts everyday. In the first post I gave three orders given by the Apostle Paul to the Church at the end of the Church age (Hebrew 10:22-25). Each order begins with the words “let us”. 1. Let us draw near. 2. Let us hold fast. 3. Let us consider one another. In part two of this series, we looked at the first of these orders. In part three we looked at number two. It is easy to find fault, it is easy to focus on the negative, and it is easy to consider ourselves before others. Anyone can do that! But Scripture teaches us to do the opposite. We need to have compassion on each other. Compassion will lead to edification. To edify is to build. Let’s face it, tearing something down is a lot easier than building it up. Someone’s reputation for example; it takes time to build a good reputation but it can be destroyed by one bad decision or one lie. Be like God. God is a builder. Satan is a destroyer. Also, focusing on others causes us to take our eyes off of ourselves. We stop asking “What can my church do for me?” Instead we ask, “What can I do for my church.” Too many have a cruiseship mentality when we need to have a battleship mentality. Warriors of Morning – Consider Others and Be Unified!